Taika Seiyu Oyata was the founder and head of RyuTe® RenMei and Oyata Shin Shu Ho Ryu®. Taika (which, loosely translated, means “head of household”) was born and raised in Okinawa and began his serious study of life protection arts shortly after WWII. He immigrated to the United States in 1977, settling in Independence, MO. 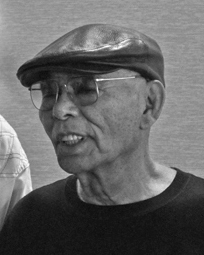 Taika was responsible for introducing Tuite-jitsu and Kyusho-jitsu to this country and, during his lifetime, traveled and taught his art extensively in this country and around the world.